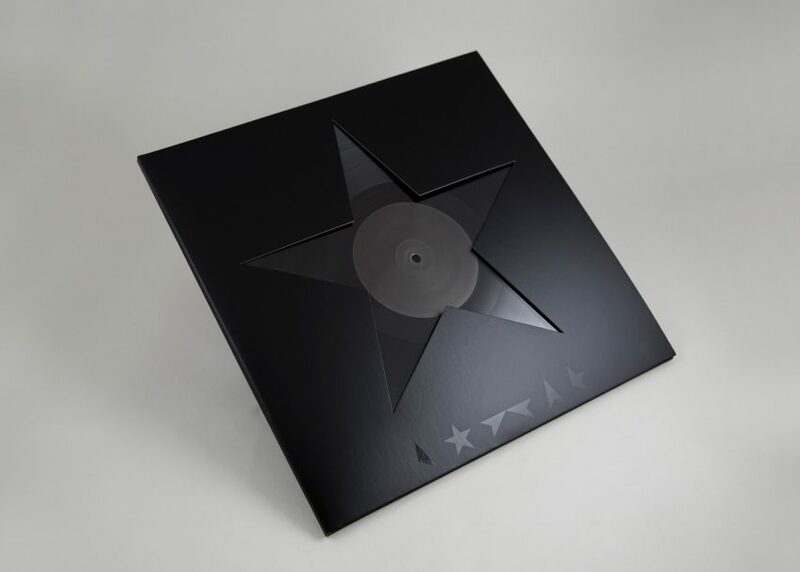 Herzog & de Meuron's Tate Modern Switch House, Ikea's flatpack refugee shelter, and the artwork for David Bowie's final album are among projects nominated for the Design Museum's Designs of the Year awards 2016 (+ slideshow). Dezeen is media partner for the Design Museum's annual awards, which celebrate the best design from the last 12 months across six categories: architecture, digital, fashion, graphics, product and transport. In this year's architecture category, Herzog & de Meuron's recently completed Tate Modern Switch House is up against the gold-painted Fondazione Prada in Milan by Rem Koolhaas' firm OMA. The category also includes Bjarke Ingels' tetrahedron-shaped "courtscraper" in New York, MAD Architects' sinuous Harbin Opera House and Wayne Hemingway's redesign of Margate's Dreamland. Among the 11 digital nominations in the Beazley Designs of the Year – named after the awards' new title sponsor – is an online STI testing kit and a smart apartment in Italy furnished with more than 15 different connected or open-source devices. A number of projects relating to the ongoing refugee crisis feature across the six areas, including Ikea's flat-pack temporary shelter, and an interactive documentary about everyday life in a Syrian refugee camp in northern Iraq. Collections by Craig Green, Agi and Sam, and Richard Malone feature in the fashion category, along with a study where schoolchildren decoded images of editorial campaigns and exposed underlying themes of gender inequality and implied violence. Graphics nominees include the redesign for the Norwegian Passport, David Bowie's Blackstar album cover and the latest Channel 4 identity by Neville Brody. The product shortlist features a coffee cup for astronauts, and Adidas' running shoes made using recycled plastic recovered from the sea. The Transport list completes the six categories. 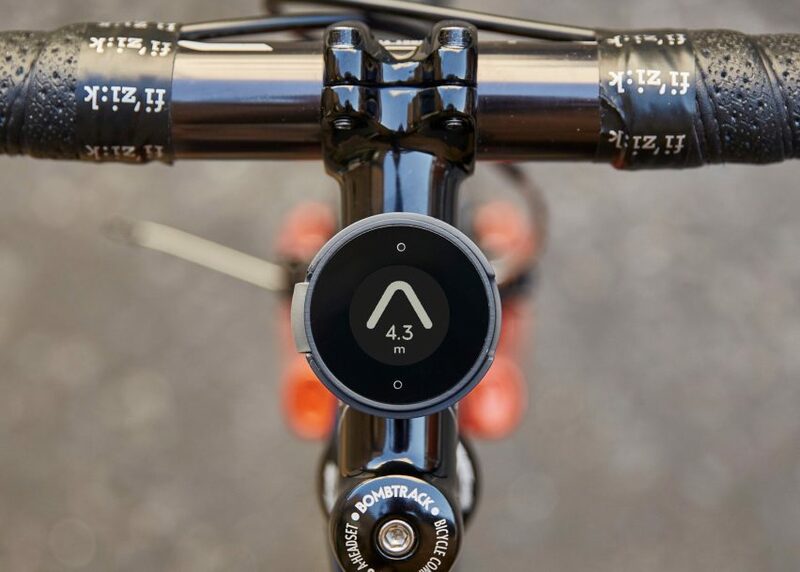 It includes a digital compass for bicycles and a crowdfunded bicycle helmet. Each of the projects will be on show in an exhibition at the Design Museum's new home on Kensington High Street, which opens on the 24 November. A winner will be selected in each category and one overall winner will be announced on 26 January 2017. Previous winners have included the 2012 Olympic Torch and the Heydar Aliyev Center by Zaha Hadid. Taking inspiration from the surrounding landscape, this university building is designed as a man-made ‘cliff’ over the city of Lima. Due to the temperate climate, all the building circulation is external. The lecture rooms, laboratories and teaching spaces are terraced, so that their roofs resemble cascading gardens, reminiscent of the cultivated terraces of Machu Picchu. The climate, multiple levels and social interaction make the building feel like the inside a form of articulated mountain. In April 2013, a textile factory building collapsed in Bangladesh, killing over 1,100 workers. A rapid visual assessment methodology, Design That Saves Lives, was developed to prevent further tragedy. Buildings were classified according to perceived risk of structural failure and recommendations were given on immediate and longer term actions. This methodology was adopted nationally throughout approximately 4,000 factories, ensuring a high level of consistency and quality across the industry. The old amusement park at Margate had fallen into disrepair and was about to be demolished when the community came together to save it. Now it has been reimagined as Dreamland Margate, a vintage style amusement park with retro rides, eateries and amusements. The new Fondazione Prada is projected in a former industrial complex with an unusual diversity of spatial environments. 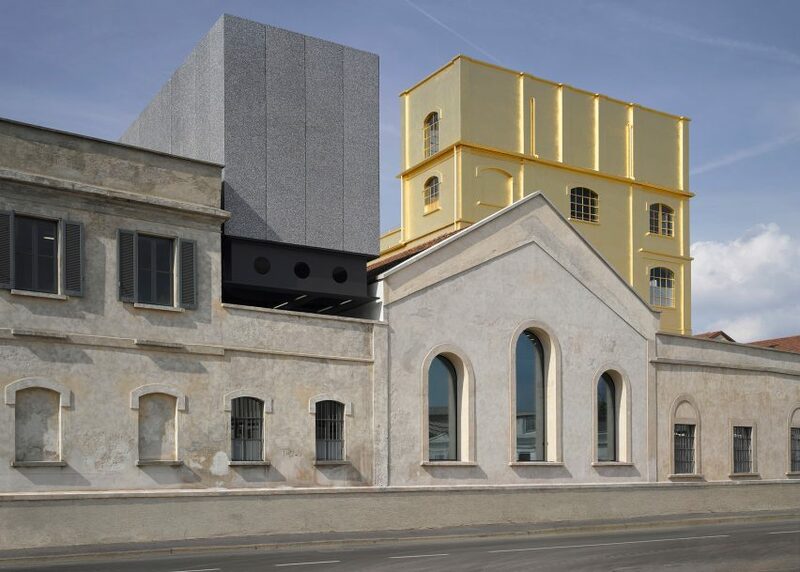 It features three new buildings–a large exhibition pavilion, a tower, and a cinema–so that the new Fondazione Prada represents a genuine collection of architectural spaces in addition to its holdings in art. Granby Workshop is one of a set of projects that are the result of an ongoing collaboration between the design collective Assemble and Granby residents. The resourceful, creative actions of a group of residents were fundamental to bringing their streets out of dereliction and back into use after decades of 'regeneration' initiatives that saw a once thriving community scattered. 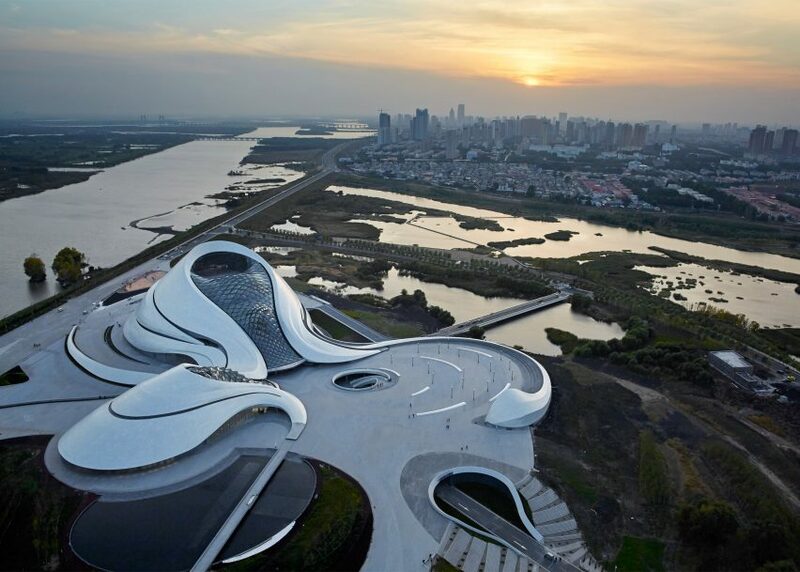 The Harbin Opera House is located on land reclaimed from the north side of the Songhua River's floodplain. The river contributes to Harbin's cultural, economic and spiritual identity. The facade reveals hidden paths that allow visitors to ascend the building, providing access for entry and viewing platforms. This detached house is located in the Chilean coastline, on top of a gentle hill and surrounded by trees. In order to capture the distant Pacific Ocean, the house is elevated in three levels. The social space is an open plan; a panoramic platform that floats on top of the foliage. The sleeping areas are distributed in the second and ground floor, facing the branches and the tree trunks. Considering the seismic condition of the country, this anti- gravitational effort is carefully balanced by a strictly symmetrical system of rigid concrete frames. Through its materiality and form, LOHA's design for SL11024, seamlessly engages its historically sensitive site and challenging hillside topography and creates a new model for urban development that enriches an academic community. This housing complex of 31 units and recreational amenities provides the community with much-needed housing for students, faculty, and others. Social housing has become one of the most important issues in the present day architectural agenda. A project was developed to create a housing prototype with spatial and material qualities at an affordable price, and had to be suitable for the people who were actually going to live in the house in terms of materials, form, function and appearance. The end result was adopting the form of the archetypical house (two slanted roofs) which adapts to different geographical, social and cultural variations. The Green is a new public building which accommodates the events, exchange and collaboration that constitute contemporary Nunhead's community life. The project creates a freestanding building over-looking Nunhead Green, a historic village green in an inner-city suburb in south London. The timber-framed structure creates a family of discrete rooms arranged around a double height space, providing acoustically separate spaces to accommodate different activities. Each room has a unique character, enjoying windows and views on two or all of its sides, a connection to the rear garden or front terrace and a pitched ceiling animated by exposed painted glulam structure and the lantern. 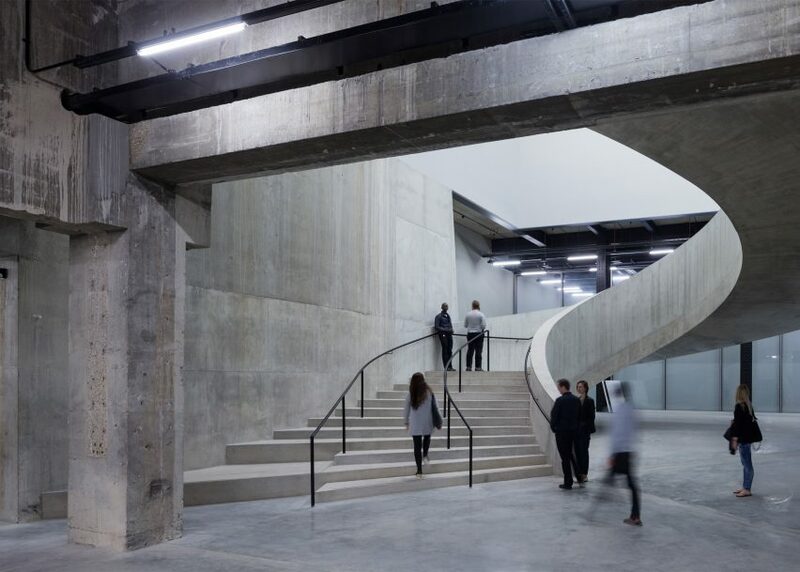 This reinvention of The New Tate Modern combines the old and the new, expressed as a whole. As well as doubling the gallery space, this project has created a diverse collection of public spaces dedicated to relaxation and reflection, making and doing, group learning and private study. These spaces are spread over the building and linked by a generous public circulation system rising through the building. The vertical orientation of these spaces is clear in the same way that a horizontal orientation is evident in the first phase of the Tate Modern. VIA combines the advantages of both the European perimeter block and the traditional Manhattan high rise; the compactness, density, and intimacy of a classic courtyard building, with the airiness and the expansive views of a skyscraper. 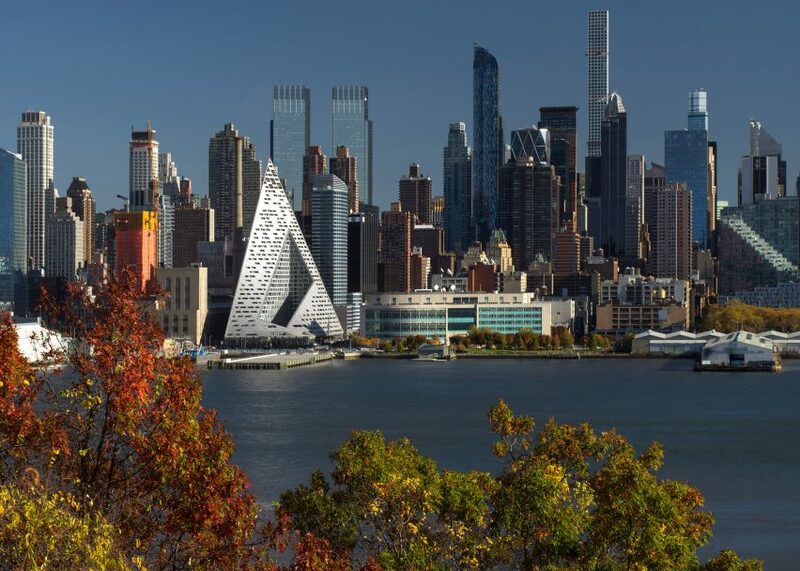 By keeping three corners of the block low and lifting the north- east corner up towards its 467 feet peak, the courtyard opens views towards the Hudson River, bringing low western sun deep into the block and graciously preserving the adjacent tower’s views of the river. Casa Jasmina is a two-year pilot project exploring the Internet of Things in the Home. 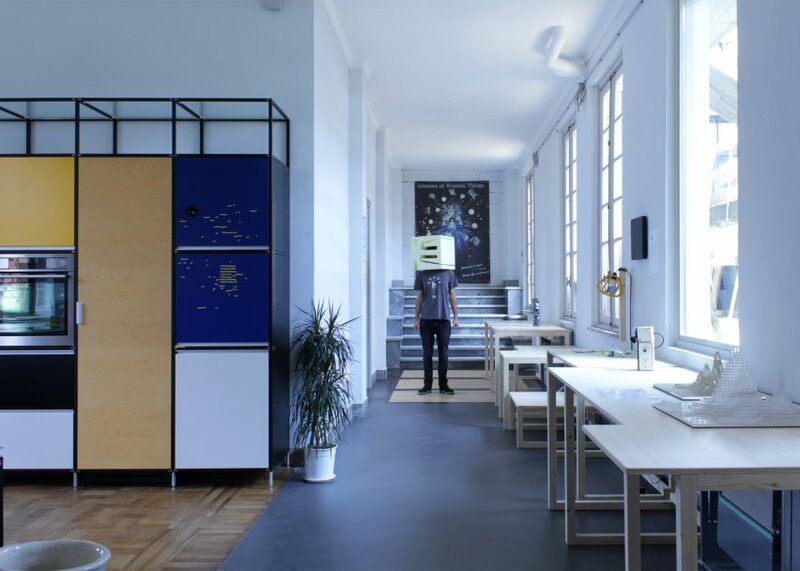 Integrating traditional Italian skills in furniture and interior design with emergent skills in Italian open-source electronics, the project is a showcase inside a large industrial building providing real-world testbed for hacks, experiments and digital fabrication projects. This new commission enables audiences to encounter England's forests through an immersive virtual reality experience, told through the eyes of its inhabitants. Through observing the function of animal sight – a dragonfly experiences life over 10 times faster than a human and in 12 colour wavelengths, a human in a combination of three - the film and accompanying soundtrack are a speculation of an alternative reality. To commemorate Martin Luther King Jr. Day, MTV programmed for twelve hours in black and white and featured interviews with several artists about racial disparities in the U.S. The moth generator is a Twitterbot that procedurally draws fantastical moths. Arranged as a collection, complete with generated names, the moths are tweeted sporadically throughout the day and night. The moth generator is also interactive allowing you to generate your own moth by tweeting any phrase at it. OpenSurgery provides a do-it-yourself surgical tool to potentially support a more accessible alternative to the increasingly expensive health services worldwide. Inspiration for the project came from the discovery that uninsured Americans are using YouTube to share videos in which they perform medical hacks on themselves as an alternative to professional care. OpenSurgery proposes a do-it-yourself robot assisted surgery system for use in domestic keyhole surgery. By combining 3D printing and laser cutting with hacked surgical pieces and components bought online, the robot trades medical compliance for accessibility and ease of distribution. Although still requiring a surgeon to operate it, with help of the files, the machine could theoretically be replicated almost anywhere at a mere fraction of the cost of commercial surgical instruments. Project Phonvert is a non-profit open project, aimed at speculating and developing alternative usages of retired smartphones to reduce material waste. IDC estimates that of the 1.4 billion smartphones sold in 2015, more than 280 million working smartphones were replaced without being recycled. While many of these retired smartphones still work and have usable functions like cameras, accelerometers, touch screens and Wi-Fi, most of them remain unused. Through spreading the word Phonvert, which is a made up word that combines phone and convert, the project is fostering an autonomous community by repurposing the working pieces of unwanted phones. Precious Plastics provides the blueprints for people to build equipment from everyday materials to recycle unwanted plastics into value objects. Refugee Republic is an interactive transmedia documentary about everyday life in Domiz Camp, a Syrian refugee camp in northern Iraq. The aim of the makers, artist Jan Rothuizen, multimedia journalist Martijn van Tol and photographer Dirk Jan Visser, is to enrich the existing image of refugee camps by building an anatomical sketch of everyday life in the camp, through a combination of drawings, film, photography, sound and text to create a sensory experience. SH:24 is an online sexual health service providing remote STI testing, information and advice. The service works in partnership with local clinics to free up clinical capacity to deal with more complex cases, generating efficiencies in the process. The service has been developed incrementally and initially provided home sampling kits for chlamydia, syphilis, gonorrhoea and HIV. Information about sexual health and contraception, as well as a live web chat service were then developed to allow users to learn and communicate online with SH:24’s seven sexual health nurse. Unmade are a London-based fashion startup creating a radical alternative to global knitwear manufacturing, using cutting-edge technology to produce unique one-off garments at the same price as mass production. In just a few clicks you can disrupt and create your pattern, shift lines and clash colours to create a made-to-order piece of knitwear that’s designed by a designer, but defined by you. Agi & Sam are a duo known for their colorful prints and updating of tailored menswear. For their Autumn Winter 2015 collection their coats were seemingly ripped apart and deconstructed, fastened in a haphazard way with Velcro. Using the term Zen as a referenced point, Green’s Spring Summer collection evokes images of samurais, gurus and purity. Providing no interviews or words after the show, Green wanted the show and its origins to maintain a sense of mystery. A group of eight years old analyse a series of 2015 fashion campaigns and the results produce goosebumps. The children decoded the images and exposed an underlying theme of gender inequality and implied violence. Women were described to be drunk and ill whilst men were perceived to be smart heroes and businessmen. 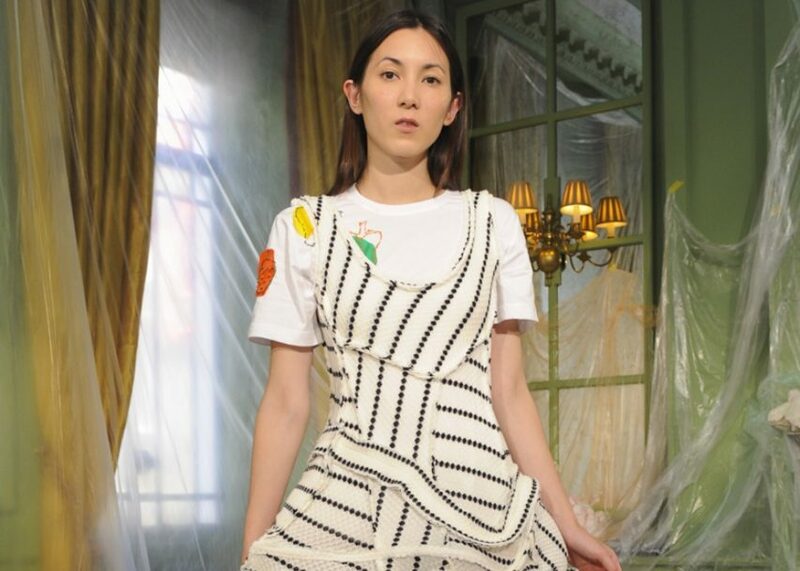 Initially inspired by the female confines of his mother’s Argos work uniform in his hometown of Wexford, Malone explores performative femininity and the restraints of a largely patriarchal society in his Spring Summer 2016 collection. Waterproof aprons are exaggerated, fabricated for practicality from ex stock workwear fabric. Old age couture techniques are reimagined in ways to avoid restricting the female form whilst also celebrating it. An assortment of women from artists to solicitors, model the collection, standing amidst towering forms created by artist Evelyn O'Connor out of sugar cubes and ketchup, presented amongst an installation by Malone using old building site materials. With the aim of becoming the first international Mexican fashion brand, YAKAMPOT embrace cultural heritage in this series of womenswear looking back to traditional craft and elegance. Decorating one of the walls in 110 metre tunnel, Irma Boom created 77,000 tiles depicting a sea view that incorporates an adaptation on a 17th century painting by Cornelis Bouwmeester. Calling themselves the Grafik Rebel Untuk Protes & Aktivisme (Malay for Graphic for Protest and Activism or GRUPA), the secret collection released 110 protest posters online before a rally in Malaysia to push for government reform and the resignation of the prime minister. 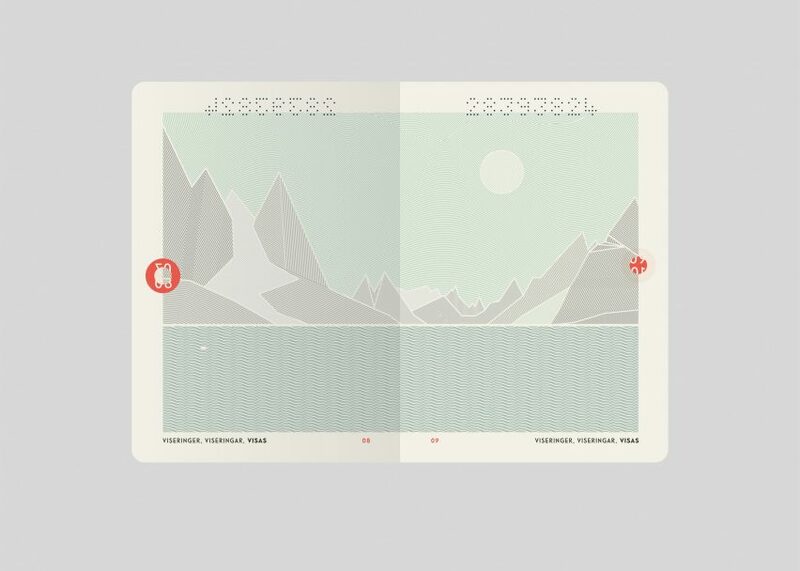 With the brief to create a unique design that expresses Norwegian identity and increase security for Norwegian passports, ID cards and travel documents. Neue Design Studio used local scenery as a starting point, highlighting a sense of belonging and national pride. Illustrations of single parts of wide Norwegian panorama demonstrate a contrast of landscapes, climates, national pastimes and historical events to create a simple design that is deep-rooted in Norwegian culture. In her encyclopaedic book, Bottom Ash Observatory, Christien Meindertsma takes the reader on a 160-page expedition through a bucket filled with 25 kilos of bottom ash, showing the astounding richness and value of this material. The contents of this "golden bucket" are the residue of 100 kilos of incinerated household and industrial waste: the "waste of waste." By sieving, drying, laser-analyzing and separating tens of thousands of pieces by hand, Meindertsma succeeded in extracting materials such as zinc, aluminium, and silver. The author commissioned photographer Mathijs Labadie to capture every step of this process in minute detail. The precision with which Meindertsma and Labadie record the dissection of the bottom ash harkens back to the eighteenth-century travel narratives depicting newly discovered raw materials with scientific accuracy – complete with tip- ins and fold-out illustration. With the initial concept of not showing what people were watching but trying evoke the reason why they were watching, the rebrand of Channel 4 started with the original Lambie 3D logo from 1982. The logo was broken into pieces and was created to reflect the originality and diversity of the channel’s programming. The blocks were placed as part of nature as if rising from the ground and having a distinct impact on the world. Dear Data is the story of how designers Giorgia Lupi and Stefanie Posavec became friends through sending illustrated postcards to each other revealing the details of their daily lives. Each week, for a year, they sent each other a postcard describing what had happened to the other during that week, created using a weekly theme. The Dikke Van Dale is the oldest and, with nearly 5000 pages, the most extensive dictionary of the Dutch language. To improve the dictionary’s functionality, a series of navigational elements were introduced including colour, symbols and illustrations. The pearly white cover signals the current association between the pursuit of knowledge and our use of white and silver digital devices as the portals to information. Driven by the desire to help during the European refugee crisis in 2015 and achieved on a volunteer basis, the First Aid Kit uses a series of pictograms to create easy to understand instructions for multiple nationalities when they arrive at refugee camps that can often be chaotic and disorientating. Sensitive to multiple languages and religious beliefs, the illustrations provide guidance and information regarding safety, shelter and medical assistance. Created with the intension to make learning about technology fun, diverse and a little bit whimsical, Hello Ruby aims to promote computer programming to children aged 4-10 years old. P98a Paper is compendium of different texts and fonts that the designers consider to be some of their favourites explored through a different theme for each issue. Shot on iPhone: World Gallery was created as an expression of how iPhone has fundamentally transformed our relationship to photography and to honour the mobile photography culture that iPhone has played an integral part in creating. The Shot on iPhone campaign continues to celebrate the amazing photos and videos iPhone users capture every day, while turning the world into a real-life art gallery of stunning images and artistic expression. Shot on iPhone: World Gallery globally launched on March 1, 2015, The campaign consisted of 155 found, non-commissioned images running on over 14,000 sites worldwide in 79 cities and across 25 countries. The We Listen project is the start of a new campaign for the Samaritans, repositioning them as the ‘expert listeners’. The message is that when you are struggling to cope it is often hard to talk about your problems and easier to hide your feelings. But when someone listens, like Samaritans trained volunteers, you’re more likely to open up and start working through these issues. The work was designed to be eye catching in busy locations, primarily around train station platforms and other major transport hubs. The primary design element is the unusual and haunting photography by world- renowned portrait photographer Nadav Kander. The portraits were taken from an unusual rear angle, in order to draw the viewer into the subject’s world. 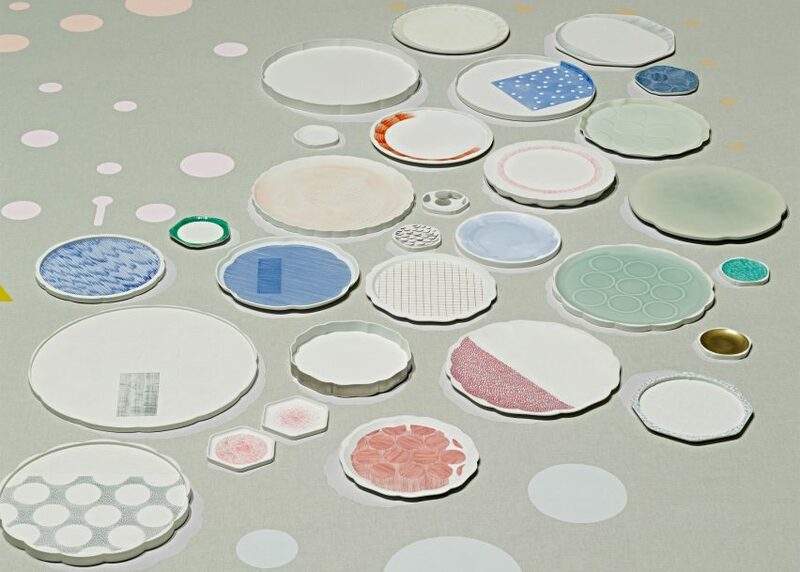 2016 comprises of 16 collections of contemporary porcelain created by combining the highly skilled makers of Arita’s, a small mountain town in Japan, with sixteen international designers. The result is a new generation of contemporary Arita porcelain. 2016/ makes Aritaware desirable and relevant once again and in doing so revives and provides a new purpose to the traditional industry and community of Arita. Adaptive Manufacturing is a collaborative project by Sander Wassink and Olivier van Herpt to highlight the production process and explore whether technological production has replaced human craftsmanship. This research project looks into ways to regain human connection with the production of objects whilst still using new technologies. To do so, they decided to design scripts which distil shapes and textures from external phenomena. External information is measured by sensors, eventually translated into specific behaviours of the printer through software. However the machine does not operate autonomously. The designers role is about selecting and distilling only certain features. In 2015 adidas and Parley for the Oceans began a collaboration with the goal of developing and supporting new technologies to up-cycle ocean plastic debris. 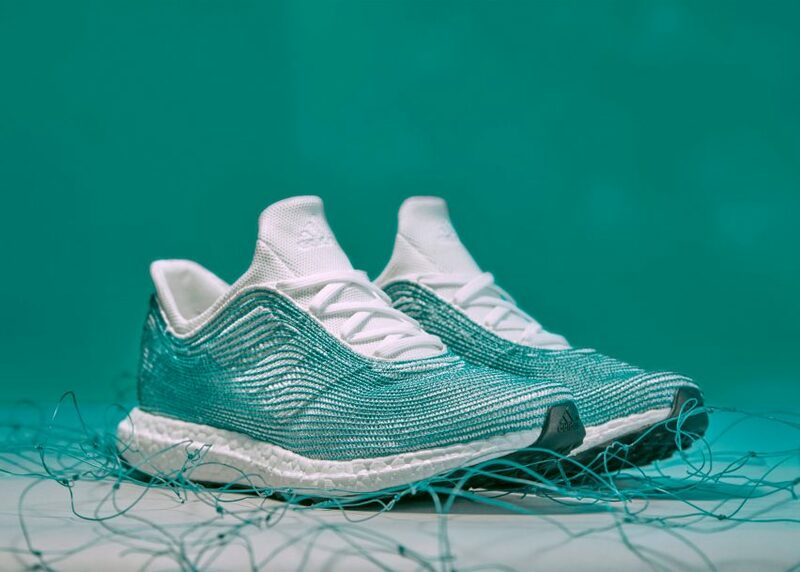 The partnership was announced at the United Nations with the unveiling of a concept shoe made from retrieved illegal deep-sea gillnets and recycled ocean plastic. In June 2016 this concept became a reality with the release of 100 pairs of the adidas x Parley running shoes. The adidas x Parley shoe is a world first, using innovative technology to create performance products using Parley Ocean Plastic. Echo connects to the Alexa Voice Service to play music, provide information, news, sports scores and weather. All you have to do is ask. Echo has seven microphones and beam forming technology so it can hear you from across the room—even while music is playing. Echo is also an expertly tuned speaker that can fill any room with 360° immersive sound. The Design Museum Dharavi is the first museum of its kind, based in the homegrown neighbourhood of Dharavi, showcasing local talent through a nomadic exhibition space and employing design as a tool to promote social change and innovation on a global scale. The Museum’s ultimate goal is to challenge the negative perception of informal settlements around the world. In February 2016 Design Museum Dharavi opened its doors in Dharavi, a 3sq km home-grown neighbourhood located in the heart of Mumbai. Around 1 million people live here, and despite the tough conditions of their surroundings, they are capable of creating, designing, manufacturing and commercializing all kinds of goods. Design Museum Dharavi is a platform for these products and their makers, so they can be recognised by the local community, the city of Mumbai and the rest of the world. The Drinkable Book raises awareness of the water crisis while combining germ-killing paper filters with lifesaving information printed on them; one filter can purify 100 litres of water. The silver paper water filter originated from simple idea: paper is an old technology; silver has been used for centuries to kill germs. The two together can do great things. The aim for Île is to create more uses for a basic clamp lamp, making it a multi-purpose lamp. This flexible design enables the lamb to stand, be mounted to a wall and clamp to a desk. Joto is a brand new window into our digital lives; a revolutionary new way to create, share and enjoy digital content without a screen. Joto is an online platform and an internet connected drawing device that makes digital content physical by recreating it with a pen. For the first time, homes, offices and education can display everything from tweets to artwork, all without a screen. Super 8, the iconic Kodak film camera, made a return 50 years after its first introduction in 1965. Kodak and fuseproject collaborated to revive the Super 8 camera and film experience, by combining the quality of the film people love with digital features and innovations. The new Super 8 is a true hybrid that professional and amateur filmmakers will see as a transformative tool. We live in the digital era, and at same time the traditional craft and quality of analogue filmmaking is having a renaissance. With the new Super 8 camera, filmmakers will have the ability to shoot with film, and receive both an analogue and digital capture of their footage - keeping alive the original art of filmmaking, while bringing it into present day. The latest series of Lego figurines featuring a wheel-chair user and a guide dog. In the wake of the #ToyLikeMe campaign, the figures create a more diverse and inclusive range for all children. With ever increasing demands for products to become lighter, faster, smaller, more intuitive and interface with us as human beings, materials are having to become more multifunctional and perform more than one task. Mono-lights presents a methodology where one material combines multi- functionality with a clear monolithic aesthetic. The Mono-lights are an extension of the uni-body fluorescent tubes, updated with the latest technology in the field of LED lighting. The structural elements have become an extension of the tubes themselves, with the added function of being completely flexible; yielding themselves to the possibilities of being bent and contorted to fix into any situation. A consumer electronics series for the kitchen designed to be daily tools that work in harmony with the environments found in the kitchen and dining room. It was developed in response to users' demands that they wanted consumer electronics with simple and easy functions that can be used with affection for a long time, rather than complicated consumer electronics with multiple functions. O&G Studio is a design and manufacturing firm which began as a two person operation and grew to be at the forefront of craft manufacturing through its application of modern design and integration of legacy manufacturing technology. O&G's manufacturing process is unique in its design perspective and the application of the craftspersons skill and simple, direct tooling methods which yield furniture of the highest handmade quality at volume. Post/Biotics is a citizen-science platform and a 'lab in a box' toolkit providing the equipment, knowledge and the science network that people need to support researchers in new antibiotic development. Research over the years has shown enough evidence in finding antibiotics from nature. Scientists for years have been sampling soil. Post/Biotics ToolkitsTM integrated with Post/Biotics App allows users to document all their findings and collaborate with real scientific researchers in the quest to find new antibiotics. Species is a study in evolution by Fredrikson Stallard through the media of furniture design. Species is created with a brute force that is at odds with ideas of comfort or human contact, yet so inviting by the nature of its materials. The pieces are elements of sculpted mass finished in shades of red creating a piece of furniture but not as we usually know it. The BBC micro:bit is a pocket-sized, codeable computer that allows children to get creative with technology. Up to 1 million devices were given to every 11 / 12 year old child across the UK, for free. It can be coded and customised to bring digital ideas to life. Each element of the BBC micro:bit is completely programmable via easy-to-use software on a dedicated website that can be accessed from a PC, tablet or mobile. The BBC micro:bit also connects to other devices, sensors, kits and objects, and is a great companion to Arduino, Galileo, Kano, littleBits and Raspberry Pi, acting as a spring-board to more complex learning. Smog Free Project is a sensory experience to create clean air for future generation. The project entails a Smog Free Tower, the largest air purifier in the world which collects smog residues to create jewellery. Smog Free Tower creates a bubble of clean air through patented ion and energy friendly technology. Each Smog Free Ring and Smog Free cufflinks contributes to the purifying of 1000 cubic meters of polluted air. The Tokyo Tribal collection features 25 items including stools, chairs, tables, and shelves. To fit the modern urban living environment, the designs have been made simple and the sizes relatively compact. In allowing for these various products and materials to converge and function together, the conceptual aim is to create a sense of a small and tightly-knit ‘tribe’, greater and better as a group than individually. WITT Ltd have developed a technology that converts all motional energy into electricity. Motional energy is all around us and WITT’s patented unique ability to harvest it from all 6 degrees of motion means that it is up to 100 per cent more efficient that any other similar technology and very suited to places where solar and wind power are not an option. BeeLine is a stripped back, intuitive, navigation device designed to put the urban cycling masses back in control of their journey. Instead of giving a typical 'sat-nav' turn by turn instructions, BeeLine simply points the rider directly towards their destination similar to a compass, leaving them free to choose their own route and explore their city. The Gogoro Smartscooter is the world’s first high-performance, smart electric two-wheel vehicle that utilises swappable batteries and is both user- friendly and accessible to the mass market. Developed to drive the transition from fossil fuels to electricity in cities, the Gogoro Energy Network is a modular battery-swapping system that enables broad consumer access to portable energy through battery vending machines called GoStations. Lumos is the world's first smart bicycle helmet with integrated lights, brakes and turn signals. Designed with urban cyclists in mind, Lumos is a next generation helmet that brings intuitive and common sense features to our most important piece of gear. With a built in accelerometer Lumos detects when you're slowing down and automatically displays a brake light so that people behind you can easily see and react to your changing speed. In August 2015, Lumos Helmet blew past its funding goal of $125,000 USD to raise over $800,000, making it the highest funded bicycle helmet campaign in crowdfunding history. The OKO comes with a Gates Carbon external belt drive. It is stronger, quieter and requires less maintenance. It is grass-free, oil-free and hassle- free. Made in ultra-light carbon-fibre the OKO is one of the lightest bikes in the world. The bike has been engineered so that the weight is distributed everywhere, unlike most electric bikes which have their motors resting on the rear tire.